Google Chrome’s default search engine is, unsurprisingly, Google. For the vast majority of users, that’s just fine. There are those however, who might want to change the default search engine to Yahoo!, Bing, or even add something custom. Here’s how this works. Normally, when you type a search term into Chrome’s omnibox, it will display results from Google when you hit Enter. 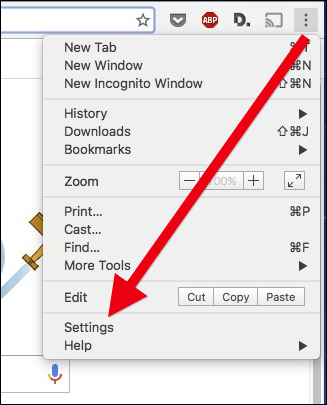 If you want to change this, however, first click the three dots in Chrome’s upper-right corner and head to Settings. Now, simply click the box where it says “Google” and change it to any of the other default search engines. Whenever you visit a new site with a search box, it will show up under “Other Search Engines” at the bottom. You can hover over one of these engines and click the “Make Default” button to make it your default search engine, or click the “X” to remove it. This however, will not happen 100% of the time. If there’s a search engine you want to add that doesn’t appear automatically, you can add it using the “Add a new search engine” box. For example, let’s say we want to add How-To Geek search. 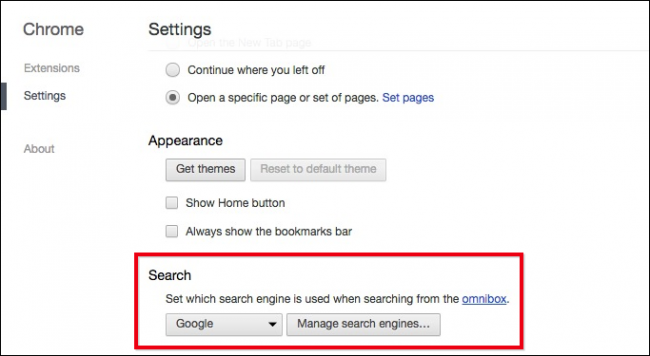 Start by conducting a search on that site, and then copy How-To Geek’s search URL directly from the omnibox. Look at the URL and find the term you searched. In our case, we searched macos , which shows up after ?q= in the URL. Replace the search term with %s and paste it into the Add a New Search Engine box under Other Search Engines. 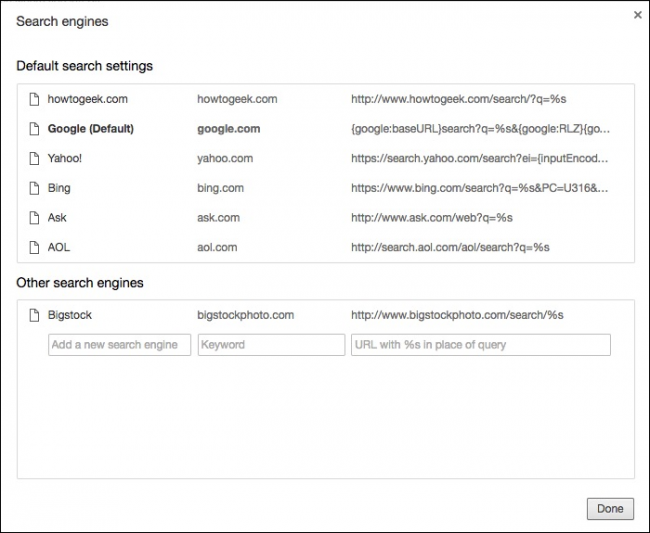 You can now make that search engine the default, if you so choose. It’s possible to do this not just on Chrome, but Mozilla Firefox, Microsoft Edge, Microsoft Internet Explorer, and Apple Safari as well. While the chances that you are going to use something other than Google for your searches aren’t likely, you still have the option. Using the method outlined above, now you can use virtually anything else.